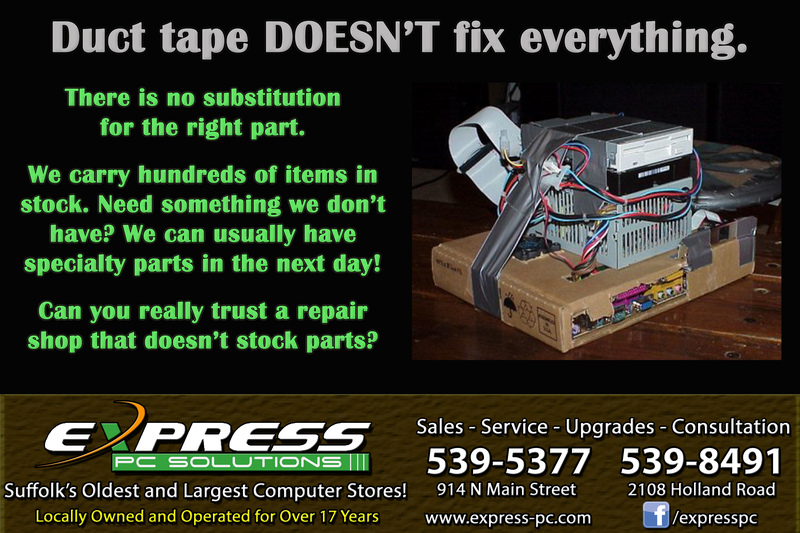 Express PC Solutions, founded in 1996, is Suffolk, Virginia’s oldest computer store. Our Downtown Suffolk location provides easy access and fast return times to the customers. We specialize in computer sales, service, upgrades, and recycling and we are your virus and spyware removal experts. Use the navigation bar above to explore our site. If you have any questions or comments, please feel free to contact us by phone at (757) 539-5377!